The Show at Chantilly will take place Friday through Sunday, October 14th to the 16th, 2016. According to the CSA Shows website admission on Friday is free between 6:00 p.m. to 8:00 p.m. and also free with Advance Ticket Purchase. Cost of admission on Friday from 2:00 p.m. to 6:00 p.m. will be $5. On Saturday admission is free between 3:00 p.m. to 5:00 p.m. and the cost of admission is $10 from 9:00 a.m. to 3:00 p.m.
On Sunday admission is free between 2:00 p.m. and 4:00 p.m. and the cost of admission is $10 from 10:00 a.m. to 2:00 p.m. Weekend Passes are also available either $15 in advance or $20 at the door. Admission is free for children 12 years old or under. Photo ops will be taken by a professional photographer. An inscription ticket must be accompanied by an autograph ticket. Please visit the CSA Shows Guests, Schedule and Pricing page for complete details and full descriptions of small flats, large flats, mini items, premium items, inscriptions and other important information. 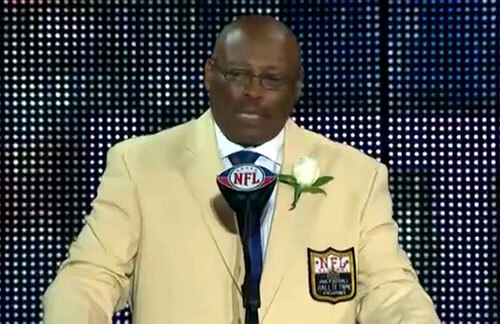 Floyd Little is a Hall of Fame running back who played for the Denver Broncos from 1967-75. At the time of his retirement, he was the 7th leading rusher in professional football history with 6,323 yards rushing and 43 touchdowns. He is also a member of the Broncos Ring of Fame. Little was a three-time All-American at Syracuse and was inducted into the College Football Hall of Fame in 1983. Sports Speakers 360 is a booking agent for pro athletes. If you would like to book Floyd Little for a speaking engagement, appearance or endorsement, contact a Floyd Little booking agent for fees at 1.855.303.5450.